I know this is like 4 weeks too late, but since I just saw the movie today, I have no choice but to review it right now. Let me start by saying how much I LOVED the movie. 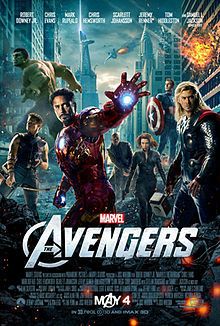 This is cinematic entertainment at it’s best; the movie was fairly well developed, witty and action packed. The reason I say that it was fairly well developed was because certain aspects of the story were glossed over, but I realize there is only so much you can do in a 2 hour movie. Other than that I have no complaints (actually I have one more complaint, but that’s later in the post). 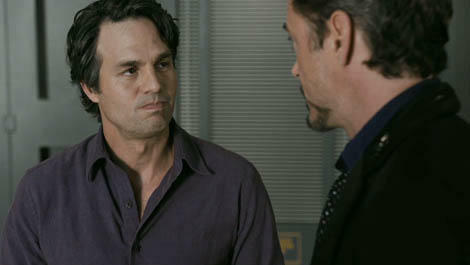 Now, talking about the team themselves I have to say that Bruce Banner/ Hulk was my favorite. I am surprised by this because I had been pretty upset last year about Marvel dropping Norton. But, I think Ruffalo brought this rough charm to Hulk that was very endearing and the fact that Hulk had some of the funniest moments on screen upped his popularity a bit. However, looking at the others I felt that Captain America was down played a bit. I suppose it went with the whole “man lost in time” image, but still I missed the Steve Rogers I grew to love from last year’s movie. I also enjoyed the Black Widow and Hawkeye’s romance. Not that it was portrayed as a full blown romance, but my background reading tells me (spoiler alert) that there is some potential there. Stark and Thor were true to character and I got nothing new from them, they were just what we saw in the their respective films. But, the one thing that disappointed me was the lack of attention given to Loki. I cannot stress enough on how much Loki had been the redeeming feature of Thor last year and when I heard that he was back for the Avengers, I was pretty excited. However, I think he was another character who was toned down a bit. He did not reach the high level of bad-assness (bear with me while I make up adjectives) that he had the potential to achieve. I suppose it is because Loki is just a stepping stone to the wickedness that is to come next (Yeah, that was Thanos after the credits). All in all I would give the movie 4 out of 5 stars. I went to the theater with high expectations and came out feeling satisfied. 16th October 2011- Facebook deactivated 17th October 2011- Stayed Facebook free today!